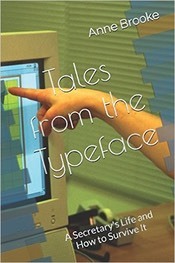 Tales from the Typeface (A Secretary's Life and How to Survive It) is published at Amazon by Anne Brooke Books. Office life: love it or hate it, but you can't get away from it. 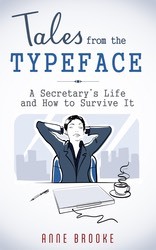 Want to laugh at the lighter side of your secretarial career? Then this is the book for you! Discover the essential art of looking busy, how to love your photocopier and carve a straight path through the stationery jungle. Not only that, but learn how to manage terrifying tasks, tricky travel arrangements and the horrors of networking. And all this with a smile on your face and success on your CV. Happy typing! Buy the ebook at Amazon in your country!